In a domestic relations matter the Court must determine which parent will be awarded legal custody of a minor child. Generally, the non-residential parent is afforded visitation with the child pursuant to the Order of the Court. Every county in Ohio has a standard visitation order which the Court will utilize if the parties are unable to agree on a visitation schedule and provided that visitation with the parent is in the child’s best interest. Of course, each case in Ohio is different and each case has different aspects that the Court will consider. The parties are welcome to expand or limit a non-residential parent’s parenting time with their child if they agree otherwise. In some cases, due to various factors including, but not limited to, domestic violence, alcohol abuse and drug abuse, the Court may limit a non-residential parent to supervised visitation. Supervised visitation is when a parent is only allowed to visit with their child with someone supervising the encounter. Most counties in Ohio have a facility established through the Domestic Relations Court for handling an Order which requires supervised visitation. Supervised visitation could also entail a party’s visitation be supervised by an appropriate adult, such as the non-residential parents mother or father. Rarely is supervised visitation a permanent situation and supervised visitation is normally utilized in order to ascertain the child is bonded with the non­ residential parent and that the non-residential parent posses no further danger to the child should the parent be allowed unsupervised contact. Some parents relocate to other areas of the United States. 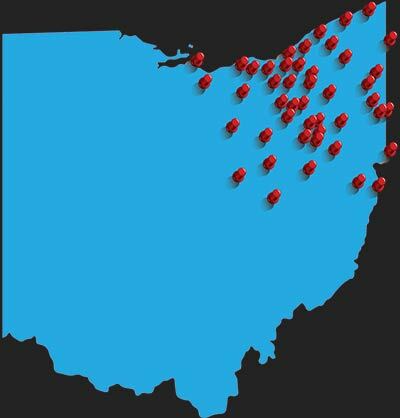 Most counties in Ohio in that type of situation have a long distance visitation schedule. This normally represents parenting time for school breaks and for the majority of the Summer. The Court normally requires the parents to share the transportation cost in order to effectuate parenting time, if the non-residential parent lives outside the State of Ohio. We can represent you for making or responding to requests to change visitation. We can also represent you when the other side refuses to go along with those court orders.